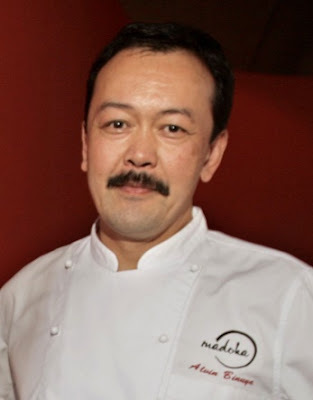 Alvin Binuya will close Madoka, his pan-Pacific restaurant and bar, on Sunday. Despite early acclaim, running the 120-seat fine-dining dinner house on Bainbridge has not been easy for the chef. “This year has been particularly difficult with the downturn and `economic correction,'” he told me this morning. After four years, “We’re trying to end things on a good note, and I’ve been graced with an amazing staff that wants to be part of it till the last day.” The Winslow restaurant is for sale. As for Binuya — whose history in the Seattle restaurant business runs deep, “My ideal scenario would be something that allows me to have more time with my family,” he says. With the closure at hand, he’s broadening his search on the work front. Though closed tonight, Madoka will be open Wednesday through Sunday.